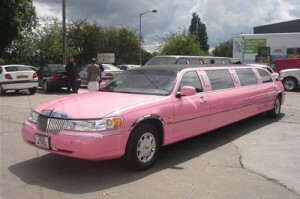 Limo Hire Hen Nights and Hen Parties… so your wedding day is finally here at last… But before celebrating the exchanging of vows you have one final night (or weekend) of freedom to make the most of! All Hen Parties and Hen Nights are different and require a special limo hire in Bradford, Leeds or anywhere in Yorkshire for whatever the master or cunning plan may be. Whatever type of Hen Do you’re planning Ace Star Limousine Hire will accommodate you and provide the fun for Limo Hire Hen Nights. Give Ace Star a call and you will be thrilled with an entertaining day or evening with a small or large group of up to 16 hens, go out to dinner in Bars and clubs and let us take you there in style and luxury in either our White Stretched Limousines, Pink Stretched Limousines or our Stunning Hummer H2 Limo. We have a vast selection of Cars to Hire for Hen Parties so whatever your requirements are on your hen do, we will can accomode your needs! Our promise to you is to offer the finest & latest Limousines available in the UK. Our Leeds Limousines are cleaned & regularly maintained. Our courteous drivers are highly trained professionals with years of limousine driving experience.